Psathyropus is a genus of harvestmen from southern Asia, characterised (indistinctly) by the presence of two pseudoarticular nodules in femur II. Characters (from Roewer 1954 and Suzuki 1985, as Metagagrella): Femora I–IV with 0.2.0.0 nodules; scutum with median spine(s) on area 2 only or one each on areas 1 and 2; eyemound low, upper section granular, without larger spines; femora I and III cylindrical, longer than body. [S73] Suzuki, S. 1973. Opiliones from the South-west Islands, Japan. Journal of Science of the Hiroshima University, Series B, Division 1, 24: 205–279. [S77] Suzuki, S. 1977. Opiliones from Taiwan (Arachnida). Journal of Science of the Hiroshima University, Series B, Division 1 (Zoology) 27 (1): 121–157. [S85] Suzuki, S. 1985. A synopsis of the Opiliones of Thailand (Arachnida) II. Palpatores. Steenstrupia 11 (7): 209–257. [TS04] Tsurusaki, N., & T. Shimada. 2004. Geographic and seasonal variations of the number of B chromosomes and external morphology in Psathyropus tenuipes (Arachnida: Opiliones). Cytogenetic and Genome Research 106: 365–375. [TT05] Tsurusaki, N., M. Takanashi, N. Nagase & T. Shimada. 2005. 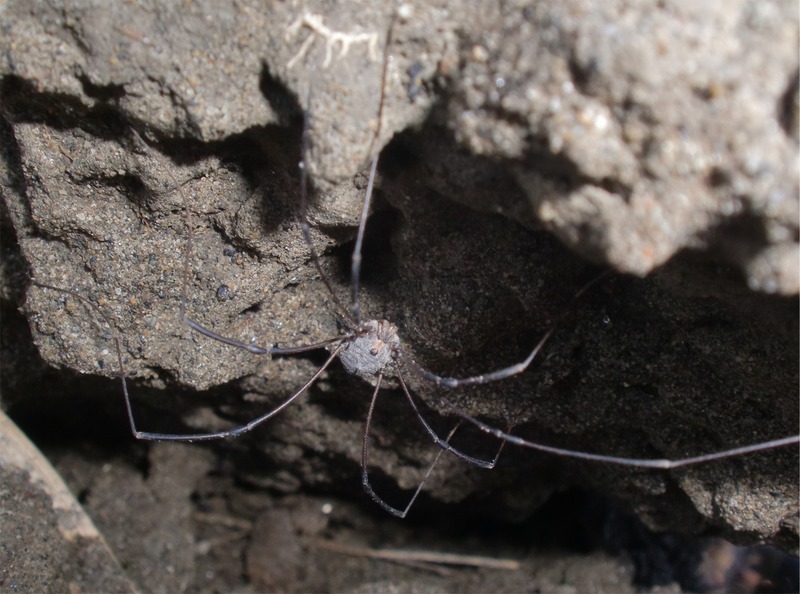 Fauna and biogeography of harvestmen (Arachnida: Opiliones) of the Oki Islands, Japan. Acta Arachnologica 54 (1): 51–63.